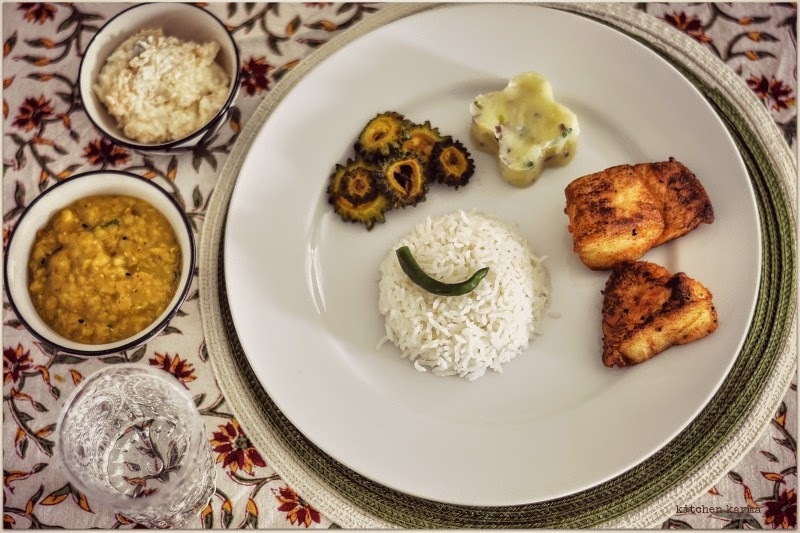 The first and last course of a traditional Bengali lunch--steamed rice, mashed potato with chopped onion and green chillies, fried fish, fried bitter gourd, lentil (mushurir dal/ masor ka daal) and rice pudding! Missing are the fish and meat courses in between and the chutney which comes before the dessert. Gorgeous! Wish I were eating this. Aar pari na! So perfect lunch platter. Lovely pics as well.